LEPS is happy to offer several different options for Summer Camps to keep children age 6-12 occupied in the summer months. 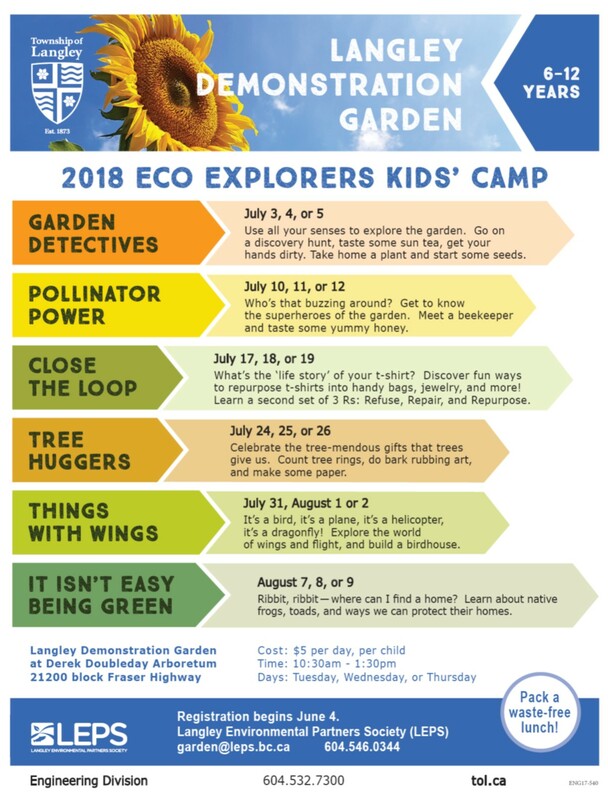 Eco Explorers are children aged 6-12 who participate in summer day camps at the Langley Demonstration Garden. Eco Explorers has been running at LEPS for over 10 years, and we are happy to offer children the chance to discover the wonders of worms, the power of plants and the benefits of bugs in the fresh air and sunshine each summer in July and August. LEPS and Fraser Common Farm Co-op are teaming up to offer a week of wholesome, wi-fi free, outdoor fun and learning. 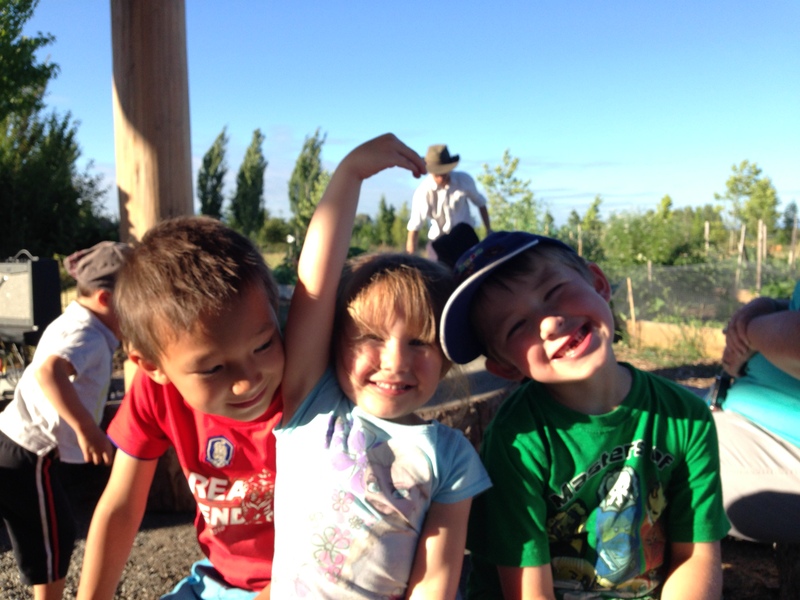 Summer Farm Camps will take place on this south Aldergrove organic farm for 2 weeks, July 16-20 and August 20-24. Children will participate in a variety of hands-on eco-activities, including animal husbandry, bee-keeping, weeding and planting their very own farm patch, shelter building, arts and crafts, and much more. 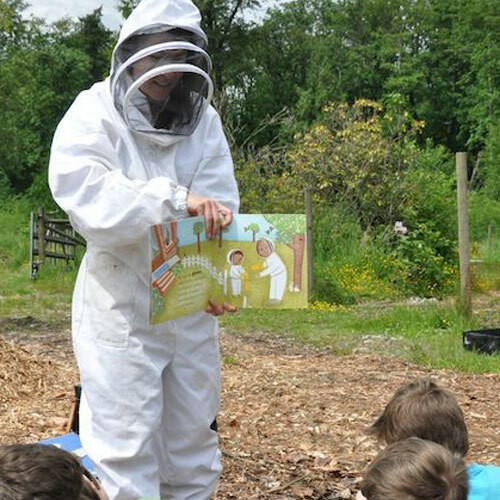 Children aged 5-12 will have fun doing a variety of experiential eco-based activities, interacting with farm animals, learning about beekeeping, weeding and planting their very own farm patch, nature exploration, arts and crafts, and much more. Campers will be grouped into similar age categories and activities will be tailored accordingly. 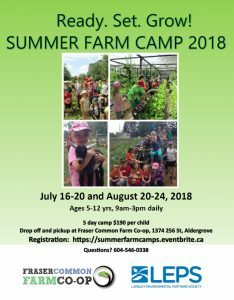 REGISTRATION INFORMATION 5 day camp $190 per child To register click here Drop off and pickup at Glorious Organics – 1374 256 St, Aldergrove.